"Vintage Fashion" Challenge at Sugar Creek Hollow. and they supplied me with the digital stamp: 1800 Vintage Dress 4 below which I chose to color in GIMP. 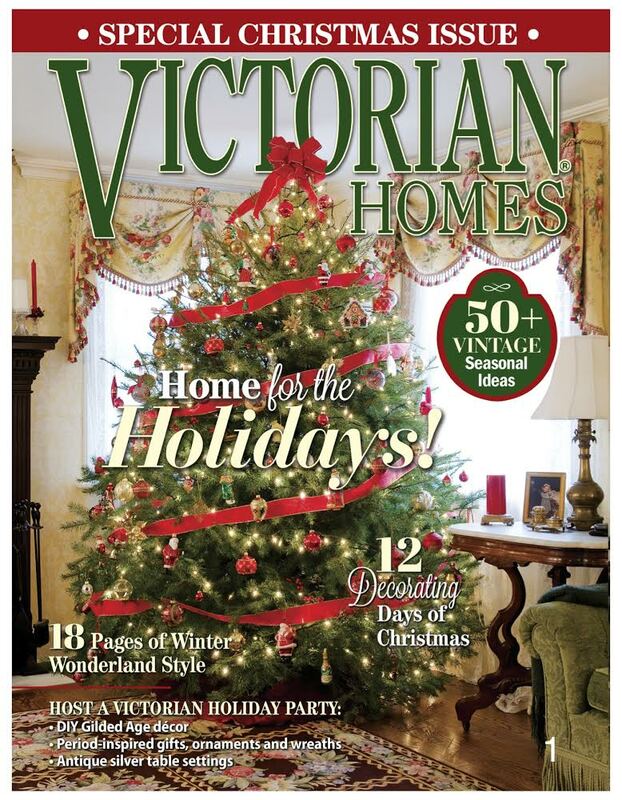 So get creating something "Vintage Fashion" in the Vintage, Shabby Chic or Primitive style and link up at Sugar Creek Hollow for a chance to win a $10 gift certificate to the Digi Doodle Shop. If you use spots or polka dots on your creation you can link up to the Digi Doodle shop Challenge this week: "Lets go Spotty" My Vintage Fashion girl has polka dots in her dress as well as on the background paper of the portfolio I made. Here is the front. All my Yummy Embellishments came from Pro 31 Designs. I have used the mint green and champagne, and ivory large flower shaped flatback pearls. Mulberry curly roses, May arts leaf ribbon trim (green is not pictured on the site, but is in the drop down color choices), clear crystal flowers, ivory beaded spray, and crystal wheat sprays!! Don't you just LOVE my sentiment in the lower right. I won it last week playing at the Art With No Boundaries! Isn't it fabby! I just gave it a background color in Inkscape, to match my creation. Thank you Chris!! The rose in the upper right is one I painted in GIMP. Gecko Galz images! You can see it peaking out from behind all my embellishments above and below. All of my pieces are die cuts that I created in Inkscape and used the print and cut feature of my Black Cat Cougar. I will be joining in this weeks challenge at Art with No Boundaries: Anything goes and "Framed" I inked all the edges of my portfolio and diecuts with Ranger's Distress ink in old paper. I used a perfect medium pen by Ranger to outline my frame die cut and applied perfect pearls in perfect copper. Here you can see how I used one of the flower shaped flatback pearls for the center of my flower. The background paper is the one I have been using lately that I created in GIMP using a rose image from Karen the Graphic's Fairy. I created a few note cards with the same image, but I kept them more flat so they would fit in the card portfolio. One last look at the front! Please come and join us at Sugar Creek Hollow. I look forward to seeing your creations!! Today is my first post as a new Design Team member for one of my favorite challenge blogs.....Sugar Creek Hollow. The DT there is super sweet, and I love their creations! So come on over and join us for this week's challenge! This week we need to use Pearls and Swirls. 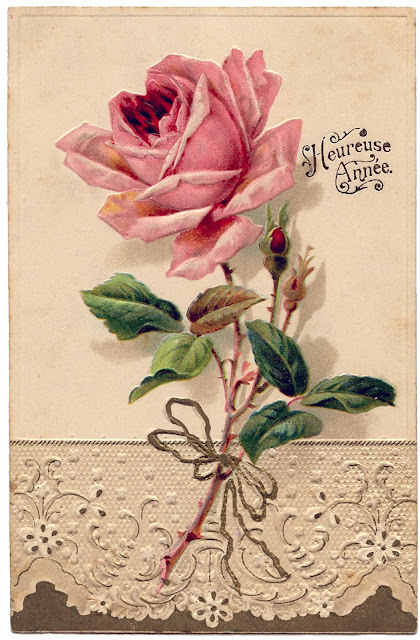 So lets see some pearls & swirls on your Vintage, Shabby Chic or Primitive style paper creations!! Here is my inspiration piece for this weeks Challenge. I started out with a tag image that I created in GIMP. You can find it here. The sweet blue bird image is from the Graphics Fairy. All the pieces of my tag are die cuts that I created and used the print and cut feature of my Black Cat Cougar (digital cutter)to cut out. I used my favorite flat back pearls in Champagne, Ranger Pink liquid pearls, ivory pearl sprays and flower pearl trim. I created some swirls with the liquid pearls, and perfect pearls by Ranger in perfect copper. I used a "thank you" stamp with vintage photo distress ink for my sentiment. Used my favorite May Art Leaf trim, Pink Mulberry roses and Swirls of gold beading wire to give my tag that shabby chic vintage feel. I used some Vintage looking Seam binding to make my bow, and added a few paper flourishes that I cut out with my silhouette SD a while back. I painted the Maya Roads chipboard flourish with Ranger's "Antique linen" distress crackle paint inked with vintage photo. Here you can see the beautiful Clear Crystal Wheat Sprays. I used a bamboo skewer to curl the ends of the wire part of the wheat sprays. Here is the back of the card. You will see I used more of the same embellishments on the back of my tag. I did add some burgundy roses that I cut from a piece of trim. Please come and join the challenge! Today I would like to share with you something "different." 17 ATC's because we had a great turnout for the swap!! So my dream trip would be to visit England. While I was there, I would look at the beautiful cottages, gardens and enjoy visiting some tea rooms. I went to one of my favorite freebie sites, Karen's the Graphics Fairy, and found a map showing the area of England that I would love to visit. That is the FRONT image background of my ATC. I LOVE cottages and really big castle like homes (who doesn't right??). I found a picture of a beautiful place and just took the entryway of it to use on my ATC, because I felt it represented a quaint cottage. I also used the teacup which I added the flowers as well from the graphics fairy. I used GIMP to combine my images, and inkscape to create my cutlines. Then I was able to use my Black Cat Cougar and Signcut to use the print and cut feature to cut out all the pieces that I used on my ATC (that is a lot of pieces). I used a "Travel" and "Far Far Away" stamps on it (since I would be traveling far far away...lol). Her is the BACK...and you know how I like the back of my creations to look as good as the front :0). I found a sweet looking old suitcase image, I used it for the background and just got rid of the handle. I also had my black cat cut out 18 tiny suitcases...because I thought they were cute, but had no idea of what to do with them...LOL...Then while I was visiting Chris's challenge blog Art Without Boundaries (anything goes and fit to be tied) it hit me!! I will make them into little luggage tags, sign one side and stamp with my signature flower stamp..and add the last paint chip number to the other side, and tie it on with some old embroidery floss!! I just love it when things fall into place. I thought it would be fun to make my paint chip numbers look like stickers on a suitcase...LOL. I think it turned out awesome!! I used Ranger's Vintage Photo and Old Paper to distress my edges and do some stamping. I used Black Soot as well. I through in the Eiffel Tower too, because I would for sure visit France if I were visiting England :0). Yes...I punched out 85 (actually more, but used only 85) flowers. The flowers are from my paint chips, so I used 4 paint chips to create my flowers. Liquid pearls for the centers. I hope my friends in the Black Cat Forum like them!! The Stamp Man: Favorite technique: because I created all my little shapes and had my digital cutter cut them out..which is my most favorite thing to do!! because that is where I got the idea of using the embroidery floss, and creating little luggage tags out of my tiny suitcases. Simon says Stamp and Show: Anything Goes: because well..this is anything, and it is more artsy than what I normally link up there. Fashionable Stamping Challenges: Cities of the World: I used some stamping and have a map of England, as well as the Eiffel Tower, and it is my dream trip...LOL. Creative Craft Challenge: Distressing: I used distress ink on all my pieces to give them a yummy aged look!! Paper Play Challenge: Destruction: I used my distress inks to get that nice worn in feel!! I will be sharing with Make it Monday and the Graphics fairy. I so appreciate all of your comments, they really make my day!! 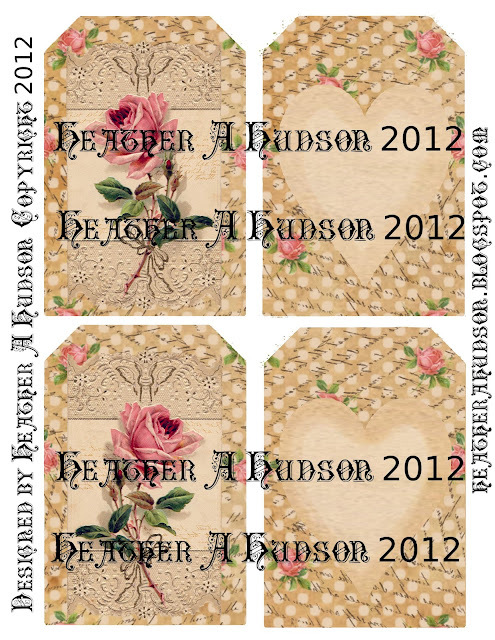 Today I would like to share with you a Shabby Chic Birthday Tag that I designed to be a bookmark :0). I was inspired by a few challenges this week, Sugar Creek Hollow (Tags), Shabby Tea Room (shaped card, colors from photo). I started off with a Cupcake image that I created in GIMP, and my favorite background paper from Gecko Gals (kitchen sink papers). I used a "Rose brush" that I created in gimp with one of the roses I painted, to create the frosting of this cupcake. I used the background paper from the digi tags I made (using graphic fairy images) to create the cupcake liner. Here is a picture of the tags, so you can see the paper better :0). I used inkscape to create my shaped tag/bookmark. I used the offset, text, union and clip tools to create the shape. I then used the program Signcut and my Black Cat Cougar to cut them out. You will see my favorite May Art's leaf ribbon trim, Pink mulberry rose and champagne flatback pearls from Pro 31 Designs. You can see the shape of the top of the tag/bookmark here. I used my Crop-a-dile to punch a whole in the top and add a grommet. I used Ranger's Distress ink in "old paper" to ink all my edges. I also used perfect pearls in perfect copper to outline the flame of the candle as well as create the lines on the cupcake liner. I used some gold beading wire to add some depth and curliques to my project. The tiny red gems (sprinkles on my cupcake) and crystal flower are from Pro 31 Designs. Here you get another good look at the Gecko Galz Digi paper, which is what is on the back, and oh..my...I forgot to take a photo of the back..LOL. I will get one up later. One last look at the whole tag/bookmark. I will be sharing with Make it Monday for inspiration next week. I will have to say that I have had a GREAT week!! I have managed to get some cleaning done, plant some annuals in my flower beds and containers as well as creating a few cards and tags! I used "Ooh la la" digital paper pack from Gecko Galz to create my envelope and card. I used two images from the "Parisian Dreams" Digital Ephemera set. One for the envelope and one for the card. I used Inkscape to create my template for the card, and for the text on the envelope and card. The Envelope reads...."Miss you Darling"
I chose the colors black and white this week so that I could play along with the challenge at Sugar Creek Hollow. I will also share for inspiration at Make it Monday. I just found out that Chris has a challenge blog (I am always the last to know..lol). It is called "Art With No Boundaries." The challenge is anything goes. 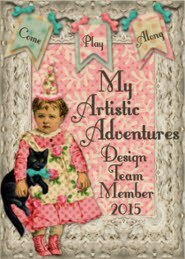 Chris designs great "Artsy" digital stamps! So make sure you stop by and link up, as well as check out here designs :0). I used the Porcelain roses in white, black trim, black & white flatback flower pearls, black crystal flower and white bead spray all from Pro 31 Designs. Don't you just love the Gecko Galz image! I used a wooden skewer to make curly q's out of the white wire from the roses and black wire from the crystal flower. I fussy cut my pieces today, but I have inkscape all set up to send to sign cut so next time my Black Cat Cougar can cut it out. Here is the inside which reads " Wish you were here!" Another gorgeous Gecko Galz image! I used my favorite May arts Leaves with a clear crystal flower from Pro 31 Designs. I also used "Smootch" in tuxedo from the ABC Toys & Crafts. It is an ink that comes in a bottle that looks like nail polish, but has a pointy tip so you can draw with it. I outlined my images with it and did some free hand squiggle on the edges of the card and envelope. You can see it quite well on the inside cover of the envelope. Again, I will be sharing with The Stamp Man challenge of using my favorite technique...taking the digi's and putting them to paper..and using my own stamps I have made :0). There are still 6 more days to share your creativity there...so go link up! I also stamped the inside of the flap with one of my favorite stamps that I drew and carved myself out of speedy carve by speedball. I used Ranger's Distress ink in "Black soot" for my edges and stamping. I will be sharing this project with Simon Says Stamp and Show.My local Michaels carries it in the fine art department with the oil paints and water pads etc. Here is a close up of the inside image. Crystal flower from Pro 31 Designs. One last look at the front. Thank you so much for the visit!! Mother's Day Tag with "Pro 31 Designs"
"freebie digital Mother's Day Tag Collage Sheet"
that I created to share with you Saturday. I used an image from the Graphics Fairy. If you visit the link above, you will find out how to get your free digital collage sheet emailed to you. Thank you Gina (Scrappinology) for the wonderful Youtube video! 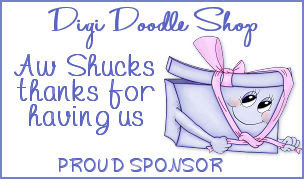 Gina also has a "ning site"
I would like to thank my Bestest online Buddie Carol for the beautiful tag she created! A new follower Amelia created some beauties as well! (you can see photos of these at the link above). I used my favorite Flatback pearls in Champagne, Curly mulberry Roses, Ivory Pearl Sprays, Brown Wheat sprays and Double Brown satin and organza Ribbon from Pro 31 Designs! I used some of my favorite vintage look stained seam binding ribbon and May arts green satin leaf ribbon. This week at the Really Reasonable Ribbon challenge is Mother's Day / Feminine with ribbon. I used my favorite background stamp that I drew and carved. It is my favorite because it is versatile, and adds great character to the edges of my designs. I think it is time to make some new stamps...so watch for some videos coming soon! Simon Says Stamp and Show your favorite Stamp...so I will be sharing there this week! I am also sharing at Just Keep on Creating! I have used my favorite techniques of taking images, and altering them digitally, printing them out and embellishing them! Check out the Stamp Man Challenge this week and share your favorite technique. Another thing I love to do is make the back look as good as the front. I love the vintage feel and all the pearls...yummy!! I do have the digital tags for sale with out the "Mother's Day Wording," and in other colors! You can find them here. I will share for inspiration this week at Passionately Artistic Blog. I would love to see what you create with the tag set! I would super love to see a video response to my video. (other colors for tags available here). I am sharing this post with Make it Monday. I had so much fun creating my Mother's Day card that I thought I would share a free Mother's Day Collage sheet that I created in GIMP. I used the same images from the Graphic Fairy that I used in my card. Here is the original image from the Graphic Fairy that I altered. Please visit Beverly's Pink Saturday, you will love it! 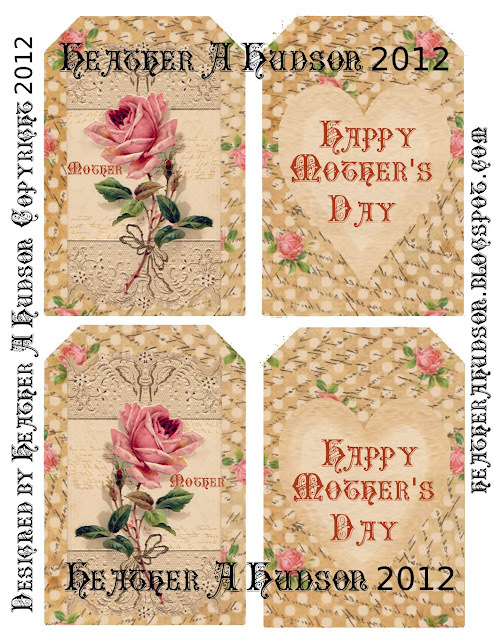 Here is a look at the collage sheet below :0) There are two sides, so you can cut out the pieces and put the rose on one side, and the "Happy Mother's Day Heart" on the other. "Freebie Mother's Day Collage Sheet"
sent to your email after you subscribe by email. "follow by email" button in my upper left side bar. I know that is a little extra work for you, but I put a lot of work into my collage sheets. Then leave me a comment below :0). (or if you are already following by email, just leave a comment and let me know below). 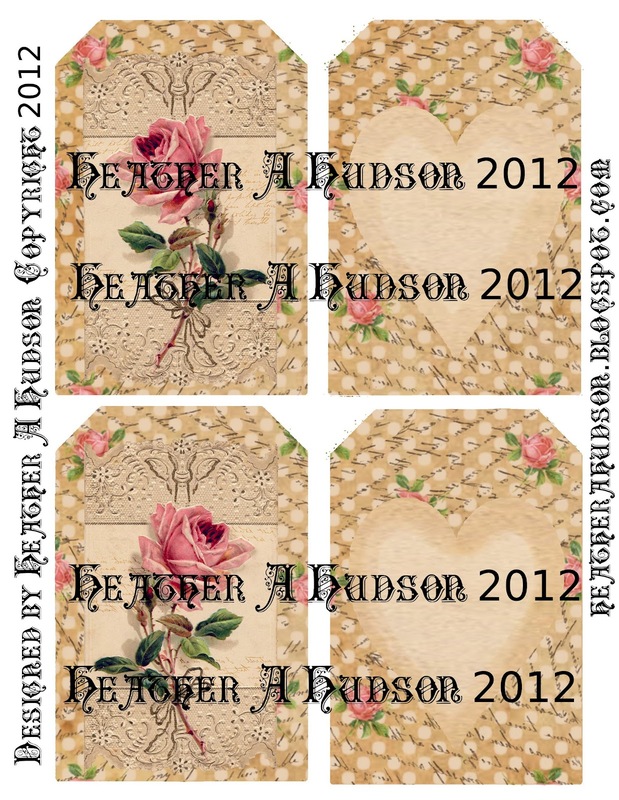 If you would like, you may purchase the Romantic Rose Tag Digital Collage Sheet with out the wording from me for $2.50. You can see how they look below. Hopefully by Sunday Evening, I should have a set of these finished, so you can see how they look finished and with embellishments!! 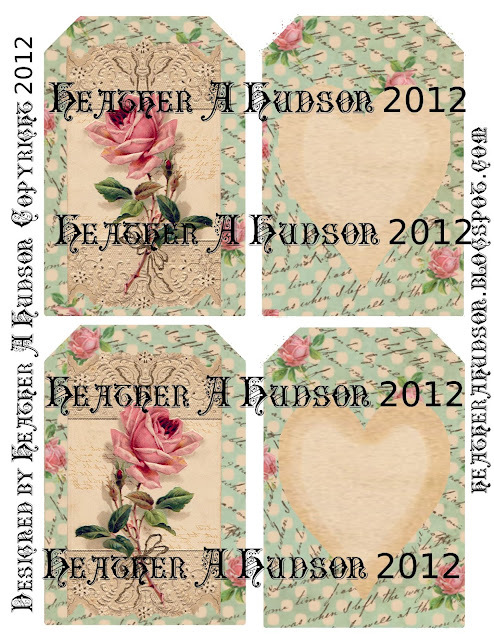 Look at this GORGEOUS tag my bestest online Buddie Carol created with the tag set below!! Yummy!! Amelia Created theses beauties below. Sugar Creek Hollow's and Berry71bleu's Mother's Day Challenges. I was also inspired by the Shabby Tea Room Challenge (flowers, colors from photo polka dots and a heart). You will see that I used one of my favorite stamps that I drew and carved in Ranger's Vintage photo Distress Inks. Just keep Creating this week. Nothing say's "Garden" like a bunch of beautiful flowers! So I will be linking up to the Tuesday Throwdown challenge! Flowers remind me of spring!! So I will be sharing with the Pink Elephant and There She Goes Challenges as well. I used the free online program GIMP to create my papers! I used this gorgeous flower image from the Graphic Fairy, first I cleaned it up and then added to it. I also created the background paper with tiny roses, in GIMP as well. Here you can see the back, the pretty colors from the inspiration photo at the shabby tea room. I just love my favorite Champagne flatback pearls from Pro 31 Designs!! They are my favorite bling!! So I will be playing along with the Stamptacular Sunday challenge (Spring Bling). Paper Sundaes this week ask that you used Pearls and Ribbon!! Yummy!! Of course there is a hidden tag!! I will be sharing this week with the Stamp Man Challenge (It is to use your favorite technique!! )and 365 Cards Challenge (Your greatest talent) Which my favorite techniques and talent are using GIMP and Inkscape to create my own digital papers and patterns and templates. Then taking those, printing them out and creating "ONE of a KIND" card and gifts! I think this is my favorite challenge!! I just found the Really Reasonable Ribbon Challenge blog! Who doesn't love ribbon?? I have one more surprise! This inner tag can hold a gift card! See below :0) I will putting a gift card for flowers in this for my Mother. I will create another just like it for my Mother in Law!! I will also do a video of it. One last look at the card front! !